This Holiday Season, as we begin to fill our homes with holiday cheer, we often include the tradition of remembering others and sharing our bounty. For many, it is time for families to fulfill their gift lists and for many local businesses to meet their 2018 profit goals. However, this is also a time to remember not everybody can experience enjoyment during the holiday gift-giving season. That is where many local nonprofits step in, to help provide a little more joy to those in need during the holidays. 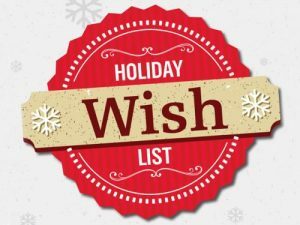 The Gwinnett Coalition for Health and Human Services reached out to local nonprofits this month, and many have provided their wish lists for those residents, companies, and others who want to include them in their gift giving plans. So the next time you are shopping at your favorite retailer, grocery store or small business here in Gwinnett County, consider also making a purchase to help these outstanding nonprofits during the holidays. Check out the 2018 Holiday Wish List by CLICKING HERE.